In case the tour or service has booked later needs to be cancelled, it must be informed in writing to us and with respect to date to reception of the letter, the following amount will be charged. 60 days prior to arrival – 15% of the Total tour/service cost. 59 days to 30 days prior to arrival – 20% of the Total tour/service cost. 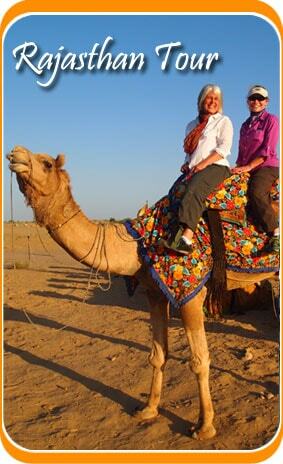 29 days to 15 days prior to arrival – 25% of the Total tour/service cost. 14 days to 08 days prior to arrival – 50% of the Total tour/service cost. 07 days & less prior to arrival or no show – NO REFUND. An administration fee of $200 will be applicable for all cancelled tours. Special Note : - If travel duration between 15 December to 5 January. As these date are blackout dates due to Christmas and New Year Eve In this Case all hotels require 100% payment so we have to pay 100% payment to all hotels and in this duration Cancelation fee would 50% to 60% from the date of booking the tour. In regard to refund of unused / unutilized services (which are paid for and cancelled in advance) the refund amount would be worked out on the basis of cancellation policy as described above and the money would be accordingly refunded to the person who has made the payment to us. Please note that the refund process may take 2 weeks due to banking procedures. If the refund is made to the credit card account OR to Bank account, the bank charges would be debited from the refund amount. Travelsite India is one of the most accountable travel portal in India that take care of the requirements of its clients .However it apply some terms & condition to maintain truth worthy relationship with its clients. While accessing, using, browsing or make booking through travelsiteindia.com, users have to accept that they are agreed to the terms and conditions of our portal. In case of any violation, travelsiteindia.com and its associates reserve all the rights for taking any legal action(s) against them. 1.1 This agreement (“customer agreement” or “Agreement”) incorporates the terms and conditions for travelsiteindia.com and its affiliate or associate companies (Hereinafter called or referred to as “travelsiteindia.com”) to provide services to the person(s) (“the Customer”) intending to purchase or inquiring for any products and/ or services of travelsiteindia.com by using travelsiteindia.com’s websites or using any other customer interface channels of travelsiteindia.com which includes its sales or marketing persons, offices, call centres, advertisements, information campaigns ,public broadcastings, etc. 1.2 Both Customer and travelsiteindia.com are individually referred as ‘party’ to the agreement and collective referred to as ‘parties’. 3.1 The headings and subheadings herein are included for convenience and identification only and are not intended to describe, interpret, define or limit the scope, extent or intent of this agreement, terms and conditions, notices, or the right to use this website by the Customer contained herein or any other section or pages of travelsiteindia.com Websites or its partner websites or any provision hereof in any manner whatsoever. 3.2 In the event that any of the terms, conditions, and notices contained herein conflict with the Additional Terms or other terms and guidelines contained within any particular travelsiteindia.com website, then these terms shall control. 4.1 The Customers availing services from travelsiteindia.com shall be deemed to have read, understood and expressly accepted the terms and conditions of this agreement, which shall govern the desired transaction or provision of such services by travelsiteindia.com for all purposes, and shall be binding on the Customer. All rights and liabilities of the Customer and/or travelsiteindia.com with respect to any services to be provided by travelsiteindia.com shall be restricted to the scope of this agreement. 4.2 travelsiteindia.com reserves the right, in its sole discretion, to terminate the access to any or all travelsiteindia.com websites or its other sales channels and the related services or any portion thereof at any time, without notice, for general maintenance or any reason of whatsoever nature. 4.3 In addition to this Agreement, there are certain terms of service (TOS) specific to the services rendered/ products provided by travelsiteindia.com like the air tickets, MICE, holiday packages etc. Such TOS will be provided/ updated by travelsiteindia.com which shall be deemed to be a part of this Agreement and in the event of a conflict between such TOS and this Agreement, the terms of this Agreement shall prevail. The Customer shall be required to read and accept the relevant TOS for the service/ product availed by the Customer. 4.5 travelsiteindia.com’s Services are offered to the Customer conditioned on acceptance without modification of all the terms, conditions and notices contained in this Agreement and the TOS, as may be applicable from time to time. For the removal of doubts, it is clarified that availing of the Services by the Customer constitutes an acknowledgement and acceptance by the Customer of this Agreement and the TOS. If the Customer does not agree with any part of such terms, conditions and notices, the Customer must not avail travelsiteindia.com’s Services. 4.6 In the event that any of the terms, conditions, and notices contained herein conflict with the Additional Terms or other terms and guidelines contained within any other travelsiteindia.com document, then these terms shall control or rule. 5.1 By using the Account Access service in travelsiteindia.com’s websites, the Customer authorizes travelsiteindia.com and its agents to access third party sites, including that of Banks and other payment gateways, designated by them or on their behalf for retrieving requested information. 5.3 The Customer is fully responsible for all activities that occur while using their password or account. It is the duty of the Customer to notify travelsiteindia.com immediately in writing of any unauthorized use of their password or account or any other breach of security. travelsiteindia.com will not be liable for any loss that may be incurred by the Customer as a result of unauthorized use of his password or account, either with or without his knowledge. The Customer shall not use anyone else’s password at any time. 6.1 travelsiteindia.com reserves the right to charge listing fees for certain listings, as well as transaction fees based on certain completed transactions using the services. 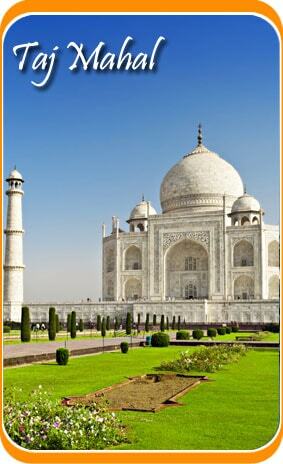 travelsiteindia.com further reserves the right to alter any and all fees from time to time, without notice. 6.3 In case, there is a short charging by travelsiteindia.com for listing, services or transaction fee or any other fee or service because of any technical or other reason, it reserves the right to deduct/charge/claim the balance subsequent to the transaction at its own discretion. 6.4 In the rare possibilities of the reservation not getting confirmed for any reason whatsoever, we will process the refund and intimate you of the same. travelsiteindia.com is not under any obligation to make another booking in lieu of or to compensate/ replace the unconfirmed one. All subsequent further bookings will be treated as new transactions with no reference to the earlier unconfirmed reservation. 6.5 The Customer shall request travelsiteindia.com for any refunds against the unutilized or ‘no show’ air or hotel booking for any reasons within 90 days from the date of departure for the air ticket and/or the date of check in for the hotel booking. Any applicable refunds would accordingly be processed as per the defined policies of Airlines, hotels and , as the case may be. No refund would be payable for any requests made after the expiry of 90 days as above and all unclaimed amounts for such unutilized or no show air or hotel booking shall be deemed to have been forfeited.